Finally! Here’s everything you need to create a newsletter that delights your donors, retains your donors, and raises money! For many nonprofits, donor newsletters can be a bit of a mystery. Steven Screen has created hundreds of newsletters and will share what works best, what doesn’t work, and why, so that you can raise more money. 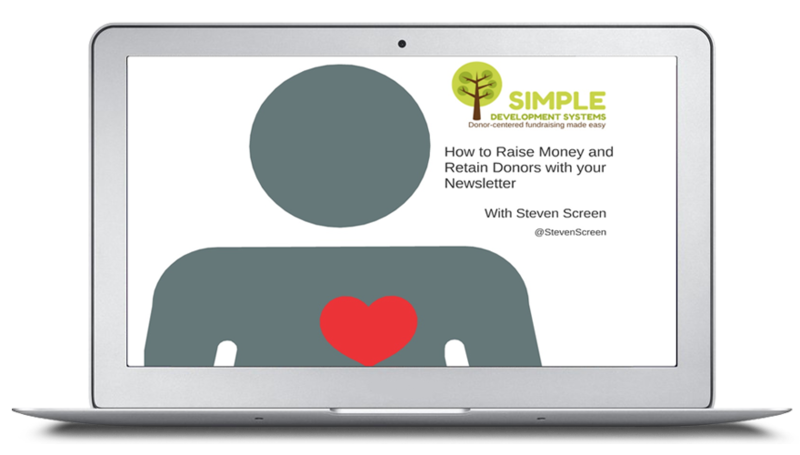 In this special Simple Development Systems training, you’ll learn how to make your newsletter – which is probably a lot of work and doesn’t raise that much money – into one of the most fruitful parts of your fundraising plan. 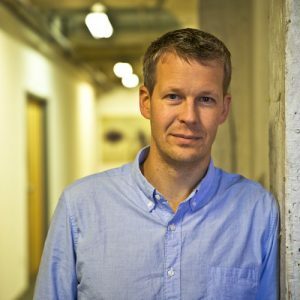 Your newsletter is incredibly important – here’s how to do it from an expert! Even what verb tense to use! This live one-hour webinar is scheduled for 1:00 pm EST on Tuesday, March 14, 2017. After registering you will receive a confirmation email containing information about joining the webinar. This Simple Development Systems webinar will be through GoToWebinar. Attending is as easy as clicking on the link we provide after you register. If you can’t make the live webinar, everyone who registers will receive a link to the recorded webinar to watch at your own leisure. Following payment, you will receive your link to register for this webinar.